After 38 years of research, teaching and outreach, (33 with the University of Alaska Fairbanks) Professor Glenn Juday is ready for a time of transition. Glenn Juday as a Ph. D. student, measuring old growth Douglas-fir in the Oregon Coast Range, July 1975. 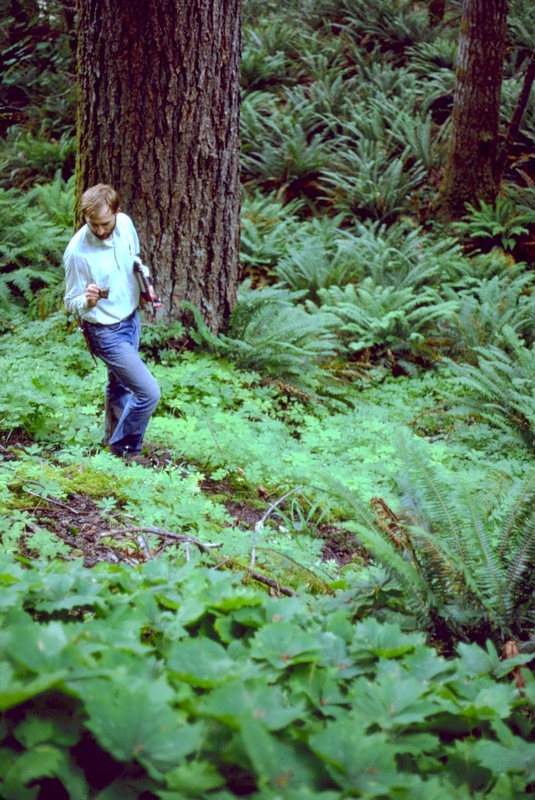 Juday earned a doctorate at Oregon State University, where his thesis on old growth forests of the Pacific Northwest put him at the center of a highly controversial issue. He worked with scientists who were leading a revolution in understanding the value of older forests. “The Pacific Northwest was timber central at that time,” Juday said. “It was big business, a key part of the regional economy. Researchers were tremblingly raising their hands and presenting findings for forest management on federal lands. Up until then, old growth forests were viewed as a nuisance or a storehouse for timber. From 1985 to 1989 he also served as president of the Natural Areas Association, the professional organization of land managers and scientists in the U.S. and Canada doing similar work. In 1987-88 he took his wife and children along for a sabbatical during which he visited and worked with colleagues across North America. The family visited 22 states and five provinces, with Juday’s headquarters at the Nature Conservancy in Arlington, Virginia. “I was working with state government officials and senior federal agency people. The conservation biology field was emerging; it was exciting to be in the middle of it,” Juday said. 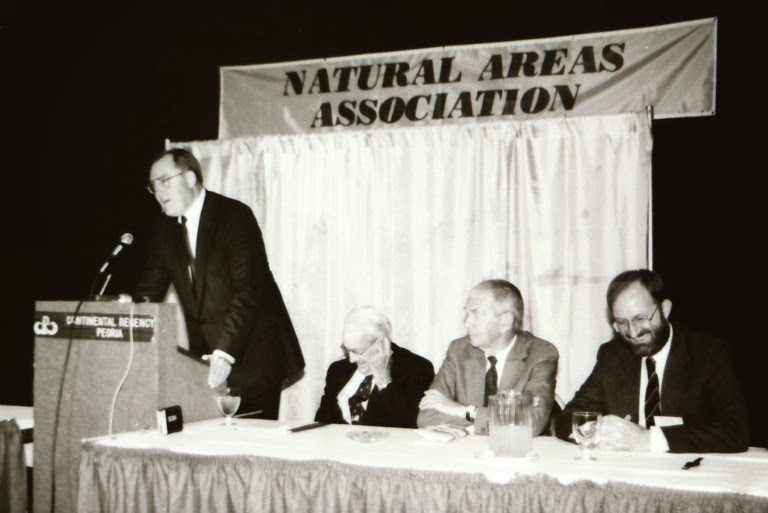 Glenn Juday as president of the Natural Areas Association introducing Jim Thompson, Governor of Illinois (at podium) and William Penn Mott, Director, National Park Service (seated left), October 1987. At the end of the sabbatical he spent six weeks in southern California learning about environmental monitoring, including in the intertidal zone of Channel Islands National Park. “During a sabbatical you’re supposed to do wild and crazy things,” Juday said. This experience would shortly prove beneficial in Alaska. Earlier, back in Fairbanks, a monumental event had fundamentally changed the pace and direction of forest research, and Juday was a part of it. The 1983 Rosie Creek Fire burned one-third of the Bonanza Creek Experimental Forest, creating enticing research opportunities. The fire happened right at the time an NSF outside review panel was evaluating previous UAF forest research and developing recommendations for new directions. Juday took notes and helped write up the recommendations into a proposal. He sent the plan to the Interior Alaska legislative delegation. The state was flush with oil revenue that year, and the Rosie Creek Fire Research Project was funded within a week. He was also given an award by the Alaska State Forester for his “… efforts leading to establishment of the Tanana Valley State Forest." “The two things came together,” Juday said. He served as director of the fire project, at first mainly directing funding to the elements of the plan. When he returned from the sabbatical in 1988 he began his own long-term studies of forest regeneration, long-term environmental monitoring, natural controls of biodiversity and sustainable boreal forest production. “This was some of the early science designed around forest regeneration.” Juday is still conducting one of the monitoring projects (see: http://snras.blogspot.com/2013/10/26-years-of-monitoring-at-reserve-west.html), and NRM graduate Andrew Allaby is remeasuring a large regeneration installation established by the project in 1985 (see: http://snras.blogspot.com/2014/10/grad-students-wow-foresters-with.html). In 1982, UAF hosted one of the first national meetings on climate change. “It was a first attempt to comprehensively grapple with the issue in a scientific and systematic way,” Juday said. The UAF Agricultural and Forestry Experiment Station published the proceedings in 1984. The early date of UAF climate change investigations even allowed Juday to assess how well the forecasts and predictions made back then have held up compared to reality (See: http://www.alaskaagresources.com/wp/wp-content/uploads/snras_afes_agroborealis_37_2.pdf). “The school and the Agricultural and Forestry Experiment Station were pioneers in the field of climate change,” Juday said. Because of his national role in natural areas monitoring, Juday was invited to serve as an NSF reviewer for the launching the U.S. Long Term Ecological Research network. 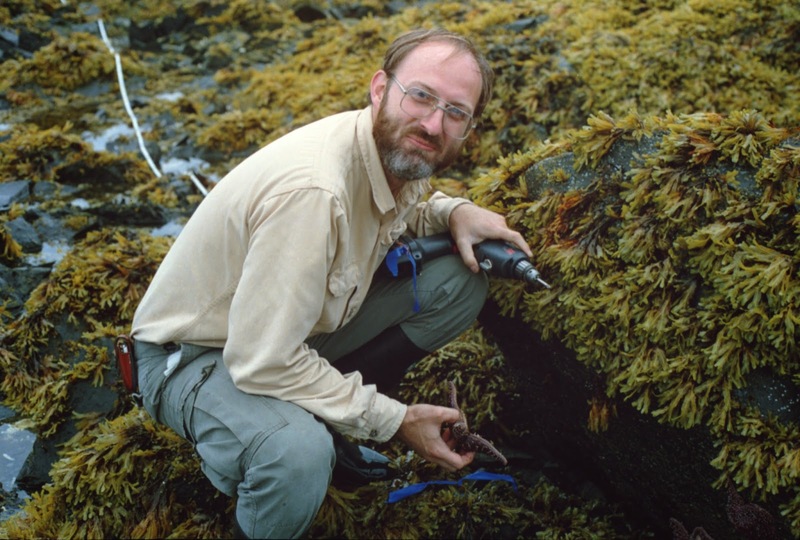 Establishing an intertidal monitoring plot in the oil spill affected areas at Green Island Research Natural Area, July 1989. Juday, Glenn Patrick, and Nora Foster. 1991. A Return to Green Island. Agroborealis 23(1): 26-28. Juday, Glenn Patrick, and Nora Foster. 1990. A Preliminary Look at Effects of the Exxon Valdez Oil Spill on Green Island Research Natural Area. Agroborealis 22(1): 10-17. As his career went along, climate change swept him into a wild adventure in the mid-2000s. He was nominated by peers to serve as lead author of an international team for the chapter on forests, land management and agriculture in the Arctic Climate Impact Assessment. In the three-year process the author team met with parliamentarians and officials in Norway, Canada, Iceland and the U.S. He was swept up into a media blitz; in one year he was interviewed 60 times, including the New York Times, international publications and major networks. Juday had testified before Congress several times before, mainly on the Forest Service Research branch budget. But in fall 2007 he was invited to testify twice in the space of a month on global warming. Further consultation with policy makers followed. 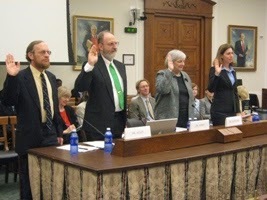 Swearing in for invited testimony to U.S. House Committee on Science and Technology, Oct. 2007. Panel includes (l to r, Dr. Richard Alley, Penn State University, IPCC chapter lead author; G. Juday; Dr. Susan D. Haseltine, Associate Director, U.S. Geological Survey; and Kassie Siegel, Center for Biological Diversity. 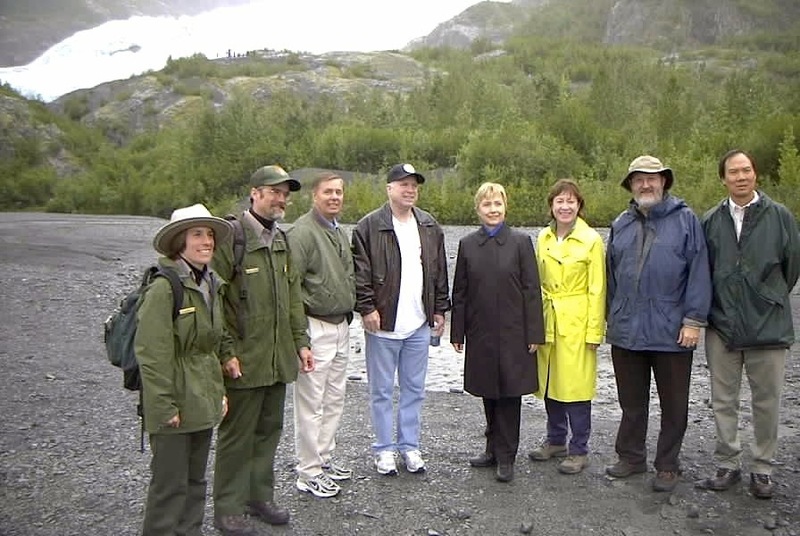 Glenn Juday, Field trip leader for U.S. Senate Commerce Committee field investigation of climate change effects in Alaska, Kenai Fiords National Park, August 2005. Senators (l to r) Lindsey Graham, John McCain, Hillary Clinton, Susan Collins. Another of Juday’s Ph.D. students, Martin Wilmking, published some highly cited papers with him on the climate sensitivity of trees at treeline. They offered an explanation for the “divergence” phenomenon in which cold treeline trees are not responding to temperature increases as much as in the past. As a postdoc Wilmking won one of the most highly endowed scientific prizes in Europe and recently completed a term as president of the Junge Akademie (young scientist) academy of Germany. Juday mentored Dr. Claire Alix in a postdoc, and their joint work has been a key part of his most recent research work. In 2007 Alix and Juday conducted an expedition by boat from Fairbanks all the way to tree limit on the Yukon River, near the Bering Sea. As a result of their collaboration, Juday gave a seminar at the Laboratoire des Sciences du Climat et de l'Environnement (LSCE), Centre National de la Recherche Scientifique (CNRS) near Paris in 2009. 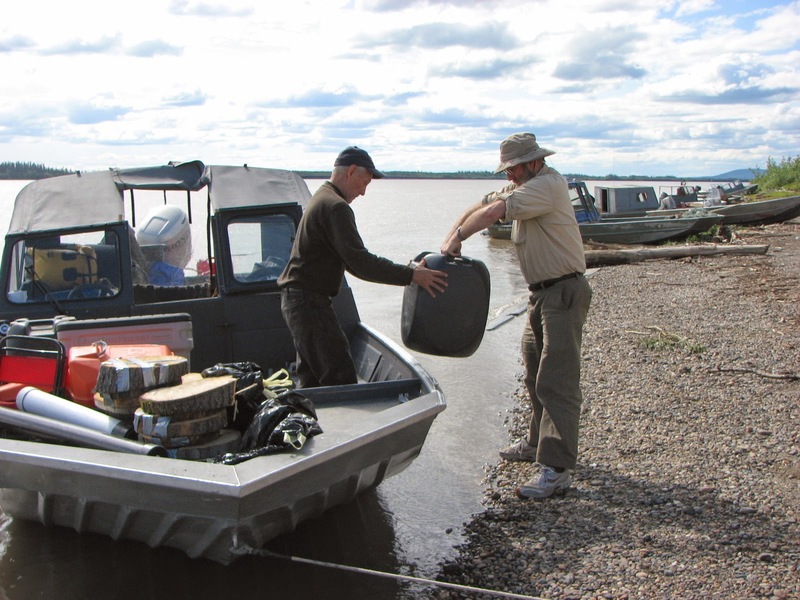 Tree ring collection expedition down the Yukon River, Galena, Alaska, June 2007. Glenn Juday loading fuel, San Demientieff, boat pilot. One of his goals in is to work with Alix’s archeological wood samples and build a tree ring chronology back in time from his current samples. Through the study of tree rings, they hope to determine climate conditions from more than 1,000 years ago. “There are ongoing, exciting discoveries ahead,” he said. Juday has been an active speaker and lecturer. He has given 220 presentations at scientific and professional meetings in Alaska, many of them invited, and 139 presentations at national and international scientific and professional meetings, many of them sponsored. He has been a contributor to more than 100 media products – newspaper and blog articles, TV and radio segments and others. The greatest challenge of his career has been funding and he is looking forward to not having to continually seek money for research. He plans to continue some of his field work but thinks it’s important to let another generation make their own discoveries and mistakes. He also has much writing to do, along with traveling to spend time with his grandchildren. Juday credits his parents for the path his life took and his wife and children for keeping him grounded. “I couldn’t have done it without my family,” he said. “I am happy because I had roots and stability. 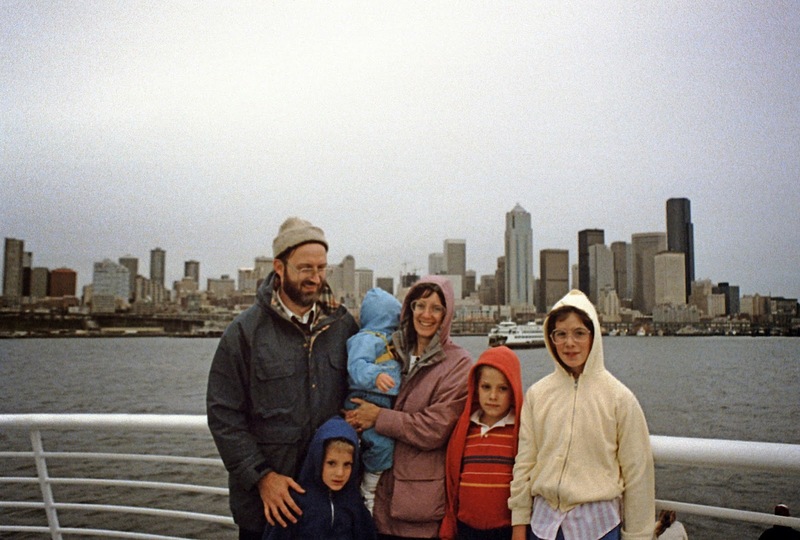 Glenn and Mary Beth Juday and family heading home after sabbatical on the Alaska marine Highway, May 1988. “I have such gratitude for the fantastic opportunities I’ve had to work with creative people,” he said. It has not always been easy being a man of faith in an academic environment that tends toward atheism, but Juday has persevered. “It’s been a disappointment but I put up with it,” he said. Juday and Stratford Caldecott, Director, Center for Faith and Culture and Editor of Second Spring, Oxford University, Feb. 2013. In the end, he is satisfied his career aligned him with wonderful people. “Interacting with colleagues, leaders in natural resources agencies, the media and policymakers has been so interesting and such a privilege,” Juday said. Interim SNRE Dean and AFES Director Steve Sparrow said Juday claims an important legacy at UAF. “He contributed in numerous ways to the natural resources management degree programs as a major player in curriculum development, by developing and teaching several courses in the programs, and by mentoring students. Several of the graduate students he mentored have gone on to become highly recognized professionals. “Dr. Juday was a leader in developing the Natural Areas concept nationally and in selecting several natural areas in Alaska,” Sparrow said. “These units are valuable not only because they preserve unique features in landscapes and ecosystems, but are important for monitoring long-term effects of environmental changes on ecosystems. His research has contributed to the knowledge of boreal forest ecology and to forest management in Alaska in numerous ways, including work on climate and climate change effects on forest health and productivity, on the potential for and management of boreal forests for sustainable biomass harvesting, effects of natural and human disturbance on forest biodiversity, and use of tree-rings to determine past climate regimes, to name a few. Retired Dean and Director Carol Lewis said Juday is one of her favorite people. Traveling together on the Natural Resources Management 10-day field course, Lewis discovered that Juday was an excellent conversationalist, a great debater and had a wide span of knowledge. “When I became the dean and director of the School and Station, Glenn's office was just down the hall from mine,” she said. Claire Alix, affiliate faculty for the Alaska Quaternary Center, first met Juday 10 years ago when she arrived as a post-doctoral student at UAF. "I remember these first meetings in the small office he had at the time, a small office full of books and files everywhere, almost up to the roof. He welcomed me with his usual warm smile and made me comfortable and helped me as he could putting together the grant proposal that led to our long-time collaboration on floodplain spruce tree ring research along Alaska major Interior rivers and driftwood," Alix recalled. "Looking back at it, I am still amazed at how open he was to my crazy ideas of doing tree-ring not knowing exactly what I was getting into. He was supportive and amazingly helpful and gave me a lot of his time. "If I had to summarize Glenn, this is it: his tremendous intellectual openness, his pedagogy and ability to explain complex concepts with simple words and his excitement at decoding the complexity of the boreal forest," Alix said. 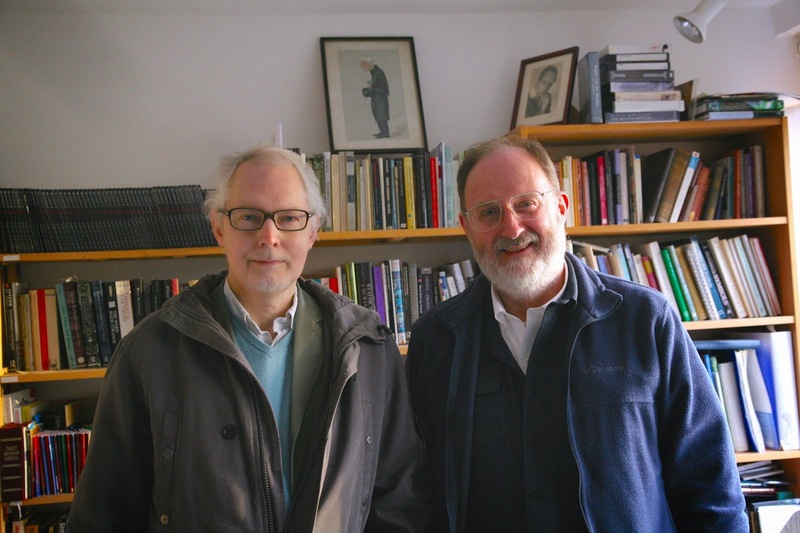 "I am more than grateful for the rich time I’ve had working with Glenn, often side by side on our articles and for the magic of intellectual fusion. Thank you Glenn for all you’ve taught me and for our collaboration. I hope it will continue for a long time." The School of Natural Resources and Extension will host a retirement party for Juday Jan. 14 from 5:30 to 8:30 p.m. at Sacred Heart Catholic Church in Fairbanks. Contact mlchildress@alaska.edu for details.